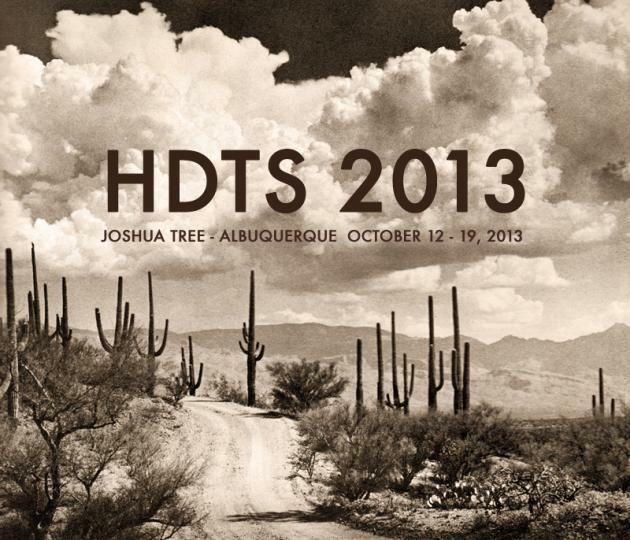 This autumn—October 12-19, 2013—High Desert Tests Sites aims "to take in everything from Joshua Tree, California, to Albuquerque, New Mexico," through a weeklong open event in which "artists and audience alike [will] traverse the desolate desert roads and explore the hidden gems, both old and new," between these two locations. A call for participation is up if you'd like more information or hope to join in; you have roughly two weeks to propose something. Earthworks, field recordings, sensory maps, experimental antenna fields conjuring new mountain aurorae, mineral gardens, a photonovella of speculative eclipse camps and desert satellite trackers, illustrated myths of the flash flood—who knows. (Thanks to Greg Hohman for the tip).